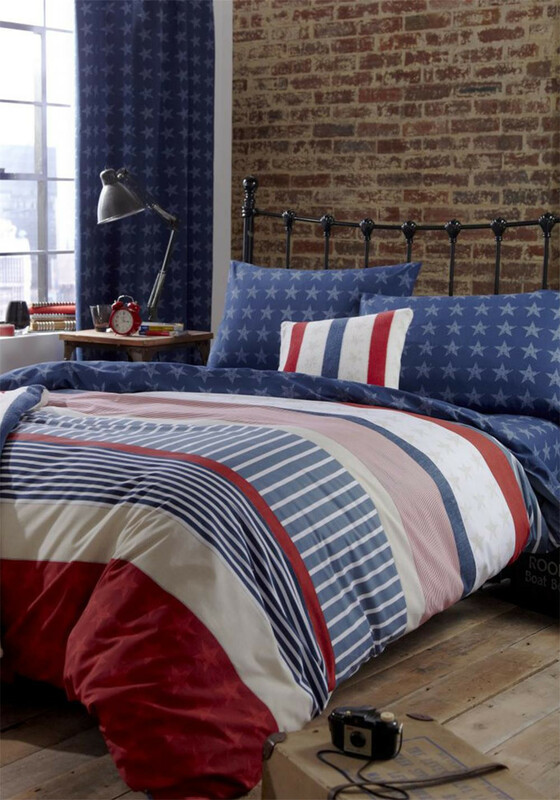 Create a Stateside inspired look with this duvet cover set from Catherine Lansfield. Vintage-style panels in a cheerful combination of navy, read and white feature on both sides of this reversible duvet cover. Easy care cotton rich fabric. Supplied with pillowcase/s. Matching items available separately.